Why Is Visual Health Doctors of Optometry Called the Best Eye Care Center in Arlington, Ashburn, Fairfax, Woodbridge & Springfield, VA? 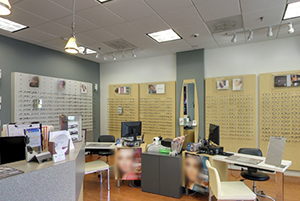 Among many other criteria, when it comes to finding the best eye care center in Arlington, Ashburn, Fairfax, Woodbridge or Springfield, VA, choosing an optometrist with extensive experience is a necessity. Having a trusting and strong relationship with your optometrist makes treatment easier, more comfortable, and provides an overall more positive experience for you. At Visual Health Doctors of Optometry, our optometrists have helped over 50,000 patients in Northern Virginia since 2006! They strive to help patients like you achieve optimal visual health. You can rest easy knowing that our team is able to help you reach your vision goals. At Visual Health Doctors of Optometry, we’re committed to providing the highest quality patient service in vision care. We want you to feel completely comfortable from the moment you walk into any of our six convenient office locations. We do this not only by offering exceptional optometric treatment through extensive experience, but also by backing our services with multiple guarantees. 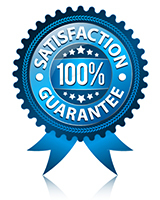 Because we are confident you will have a great experience with our team, we offer you our 100% Satisfaction Guarantee. If, at any point during your treatment, you feel like you aren’t getting the results you are looking for, or are unsatisfied with your prescription, eyeglasses, or contact lenses, simply tell us and we will fix it. We will do everything in our power to make sure you are happy and satisfied with your treatment. In addition to our 100% satisfaction guarantee, we back our services with an On-Time Appointment Guarantee. We respect your time, which is why we go to great lengths to make sure our appointments stay on schedule. By offering evening and weekend hours, we also guarantee that you or your loved one won’t have to miss work or school for your vision appointments. A final guarantee available at our Fairfax location is our Same-Day Glasses & Contacts Guarantee! Come in for your eye exam and, in most cases, you will get your eyeglasses or contact lenses in the same day. 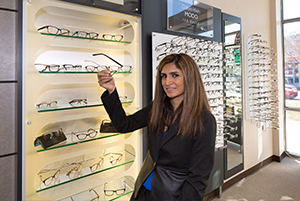 Are you getting your eyewear at another one of our convenient locations? No worries! Our robust delivery service will have your new glasses or contacts available within one or two days. In the occasional situation where a frame choice or prescription needs extra time, we’ll provide a reliable delivery date before you commit to your choice. Click here to schedule your Visual Health Eye Exam and see how we can help you! At Visual Health Doctors of Optometry, we know your time is precious and important. 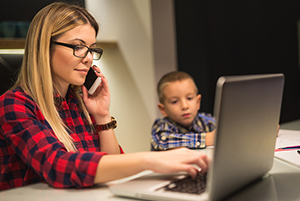 With work, school, and extracurricular activities, finding time in your busy schedule for eye appointments can sometimes be difficult. That’s why we offer same-day visual health eye exams, even for walk-in patients. Our goal is to be the best eye care center in Fairfax, VA, and northern Virginia, which includes providing you with the most time-efficient appointments and optometric treatment options available to fit your schedule. Not only does this save you time, it also saves you money! 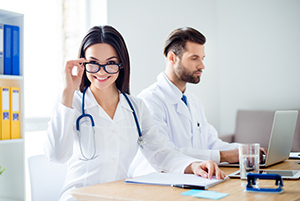 This is yet another way that Visual Health Doctors of Optometry works to make optometric healthcare as easy and convenient as possible for you. With the average person’s daily life busier than ever, a main motivator behind visual healthcare decisions is often convenience. Instead of making multiple appointments and trips to the optometrist, it can be tempting to take your chances on an optometrist who claims to offer you the ultimate convenience of instant gratification. There’s no shortage of companies vying for your business, but if you choose healthcare based on convenience alone, you’re putting your health at risk. This can lead to receiving the wrong products, incorrect prescriptions, and damaging the health of your eyes. Visual Health Doctors of Optometry is committed to providing the best care to our patients at a level of convenience that makes the process easier than ever. We offer price matching and have in-store rebates to make our prices incredibly competitive. If you have insurance, we will take care of processing the claim for you in-house. We will even send your contacts directly to your home – talk about convenience! When you choose us, you’re getting a more personalized experience, a better version of the product, and the best possible results. When it comes to your vision, Visual Health Doctors of Optometry knows that waiting is not always an option. Not only do we value your time by staying on schedule and offering same-day exam appointments, but we also offer same-day eyeglasses and contact lenses at our Fairfax location! Our robust courier service also allows us to make your new eyeglasses or contacts and bring them to our other locations within only one or two days. We know once you’ve chosen your perfect optical device, the last thing you want to do is wait longer to be able to wear them. 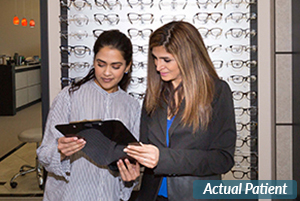 That’s why all of our six convenient office locations carry an expansive list of eyeglasses and contact lenses – to provide you with ultimate convenience at no loss of quality or care. If you are looking for a team of optometrists who strive to have the best eye care center in Arlington, VA, and throughout northern Virginia, then you are in the right place! Our optometrists come highly recommended because of their extensive experience and dedication to knowledge. 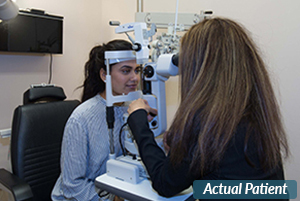 As a result, our optometrists often treat local doctors and meet new patients who have been referred to us by local doctors or other patients from Visual Health Doctors of Optometry. Our biggest compliment occurs when a doctor or existing patient refers another great patient like you to us. We are looking forward to meeting you! Call us today or simply click here to request your comprehensive Visual Health Eye Exam, and ask about our “Buy One, Get One Free” eyeglasses offer. Eye exams start at $79 and include a $225 credit towards the purchase of any prescription pair of eyeglasses. At Visual Health Doctors, we want you to look your best and see even better! At Visual Health Doctors of Optometry, you can take comfort in knowing that your optometry needs are our number-one priority. If you have urgent visual health care needs, we will quickly schedule you an appointment for a prompt resolution. You can always feel confident that your optometrist will be there for you on the same day you call. That’s our Visual Health Doctors of Optometry promise to you! Why wait another day to get your visual health on track? Make an appointment with Visual Health Doctors of Optometry, and you could be well on your way to better vision by the end of the day. Call 844.850.5825 or click here to schedule your Visual Health Eye Exam today! Our expert optometrists and highly trained team at Visual Health Doctors of Optometry know that life is busy for everyone. When you have vision issues or need eyeglasses, who wants to wait? We know you’re eager to get your visual health on track, which is why we offer convenient appointment times. With six locations, you can be seen at one of our offices after school or work and even on the weekend, so you never have to worry about being able to address your visual needs. In fact, we’re proud to announce that our Springfield, VA, eye center now has Sunday appointments available for eye exams! At Visual Health Doctors of Optometry, we can even offer same-day exams, or we’ll schedule you for the next available time slot that works for your busy schedule. We’re here when you’re ready – and in most cases, that means the sooner the better! Life can be a lot like a juggling act – just when you think you’ve got a handle on it, someone stresses your schedule and something has to give. Our team at Visual Health Doctors of Optometry believes that our patients and their responsibilities should come first. That’s why we make it a point to avoid the overbooking practices used by some optometry offices in favor of a patient-first approach that actually means something. You’ll experience virtually no wait times at Visual Health Doctors of Optometry. We’ll never rush you through your appointment, and your optometrist will answer all of your questions. You’ll leave your appointment on time and thoroughly satisfied with the attention you’ve received. Click here to schedule an appointment with an optometrist you can truly count on. At Visual Health Doctors of Optometry, we take the health of your eyes seriously and go to great lengths to make sure our team is always offering the highest quality care and the latest options available. One way we do this is through continuing education. 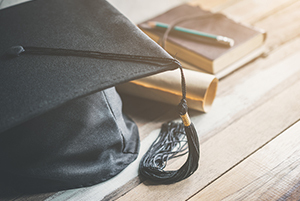 As with most things in life, the field of optometry is ever-changing, which means maintaining expertise requires constant upkeep. Our optometrists attend The Vision Expo in New York each year for training on the latest technologies and cutting-edge industry developments. In addition, all our staff members attend training events twice each year to keep their knowledge fresh and to ensure we’re providing our patients with the best optometric care possible! 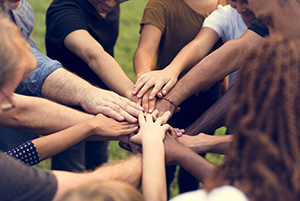 Playing an active role in the community is great for everyone involved. Our team at Visual Health Doctors of Optometry loves to help our community as much as we enjoy taking care of our patients! That’s why we frequently share our time and our resources with a variety of charitable causes. A couple of ways we do this are by donating to local organizations like the Arlington Girls Softball Association, and to local schools, like Key Elementary School, every year. We are also currently in the works of starting a partnership with the Fairfax Lions Club in providing local members of our community with personalized glasses at no cost to them. VHDO will donate ten (10) complete pairs of glasses (frames, single-vision polycarbonate lenses, and no-glare coating) and up to twenty (20) pairs of lenses (single-vision polycarbonate lenses and no-glare coating) for up to twenty (20) reusable frames donated from the Lions Club recycling center. Together we could provide up to thirty (30) pairs of custom made glasses per month. These are just a few of the ways we give back to our community at Visual Health Doctors of Optometry. At Visual Health Doctors of Optometry, we know cost can be a big issue when it comes to choosing eyeglasses or contact lenses. We want to make achieving your optimal visual health easy and affordable for you or your loved ones once you walk through the doors of our Ashburn, Arlington, Woodbridge, Fairfax or Springfield office. Nowadays, there are various ways to get inexpensive contact lenses outside the office of an optometrist. It’s important to remember, however, that these options carry a certain amount of risk. When not under the personalized care of an optometrist, you risk your eyeglasses or contact lenses being poor quality, not customized to your personal needs, or even being damaging to the health of your eyes. *Some restrictions apply. 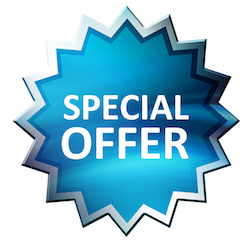 Promotional pricing cannot be combined with insurance benefits or other offers. Simply click here to request your comprehensive Visual Health Eye Exam and get started on the road to your optimal visual health! 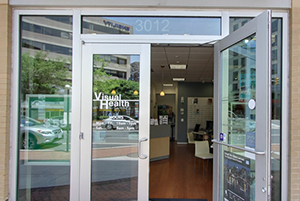 At Visual Health Doctors of Optometry, our relentless pursuit of being the best eye care center in Fairfax, VA, and northern Virginia means we are constantly upgrading to the latest and best technology which allows us to deliver more accurate, faster, and ultimately better optometric treatment. 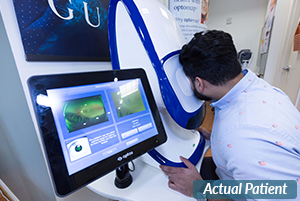 You can read about the wide variety of technologies employed in our optometry offices by clicking here. Each of our locations carries an advanced selection of contact lenses from trusted brands such as Cooper Vision, Vistakon, Alcon, and Bauch & Lomb. We also carry over 400 eyeglass frame styles in the latest brands, including Gucci, Tom Ford, Silhouette, Lafont, Marc Jacob, Rayban, Calvin Klein, Modo, Ted Baker, and many more. 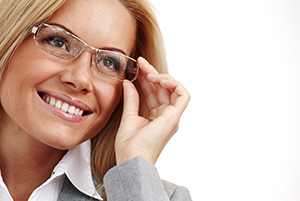 In addition to standard lenses, our eyeglass lens options include sunglasses, adaptive lens, no-glare lens, and lens specific to computer use. Contact us for more information or to schedule your Visual Health Eye Exam today! When it comes to caring for your visual health, the overall cost can sometimes come into the decision-making process. Especially for those without insurance, it can be tempting to choose a product or service at a lower cost, oftentimes sacrificing quality and risking damage to their vision. At Visual Health Doctors of Optometry, we never want cost to determine your visual health! In order to make your optometric healthcare as affordable as possible, we offer a variety of payment options, discounts, and specials to our patients. 0% financing Care Credit, flexible payment options, family discounts, and promotions such as Buy 1 Get 1 Free Glasses are all things you can look forward to at Visual Health Doctors of Optometry. We are committed to being the best eye care center in Fairfax, VA, and northern Virginia, and that starts with providing the best products and care to our patients. Your health insurance will typically cover anything that relates to the physical health of your eyes, while vision insurance will cover the way you see, including your eyeglasses and contact lenses. When you come for your initial appointment at any of our eye care centers, we will take the time to help you understand the different coverages you may receive from your health insurance or your vision insurance.